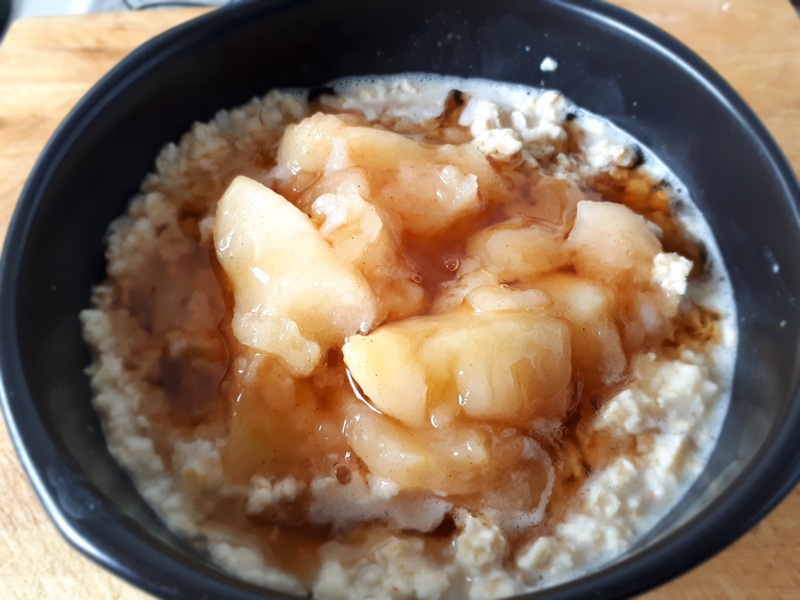 I added the oatmeal, the almond breeze and the water together and cooked it in the microwave for 1 minute and 45 seconds depending on your microwave. You could also cook on the stove. I put the scoopable apple pie on top and put it back in the microwave for 25 seconds.